In 1814, Giovanni Battista Monteggia described a traumatic lesion distinguished by a fracture of the proximal third of the ulna and an anterior dislocation of the proximal epiphysis of the radius. 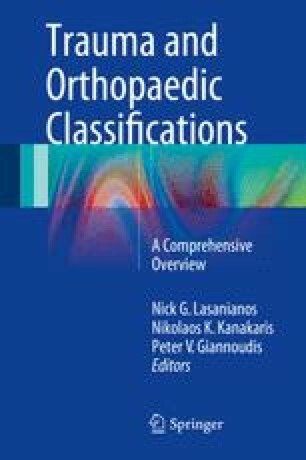 In 1967, Bado introduced the term Monteggia lesion, which also includes fractures at the mid and distal ulna and all directions of radial dislocation. The four main types refer to the shared angulation of the ulna fracture apex and the direction of the dislocation. In all cases, the proximal radioulnar joint is disrupted with injury to the orbicular and annular ligaments.